As the Kurds attempt to step up their operation against "Islamic State" fighters, more and more young women are being drafted to fight alongside the Peshmerga and other groups. 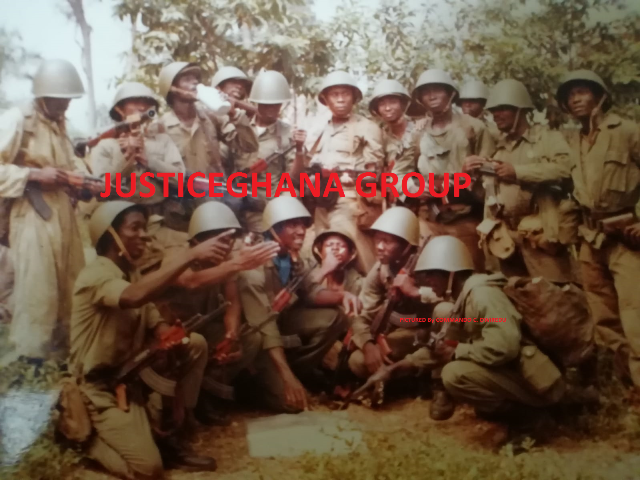 DW accompanied them to the frontline. Wearing a military uniform with a gun slung over her shoulder, what stood out most about Asia were her eye-piercing yellow and green spotty socks - a sign of her youth and a stark contrast to the darkness of the battlefield. At just 19 years of age, Asia has taken up arms as a member of the female wing of the People's Protection Unit, also known as the YPG - a 40,000 to 50,000-strong Kurdish force fighting Islamic militants in Syria who've seized large swathes of land here and in Iraq. "I was inspired to join the YPJ [women's branch of the YPG - the ed.] for three reasons," she told DW at a base near the Rabia frontline, a small border-crossing town between Iraq and Syria. "Firstly, because of the people who've died fighting for our home country; secondly because of the patriotic songs and the nationalistic spirit of my people and; the militarization of our society. Everywhere I look there are soldiers here." Here at this base in the Hasaka Province, a two-level building, characterised by a bronze teacup statue on the roof, men and women sleep, eat, drink and take shifts on the frontline, which is 2 kilometers away. "It's a lot of fun here. We stay up all night together. All the girls go to the frontline," Asia said. 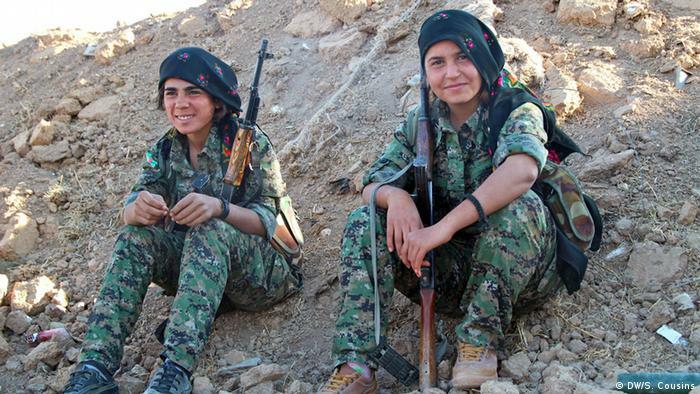 "We don't have body armor or helmets but us comrades are not afraid of anything, even girls. Even if we get wounded or become martyrs, we will die for the leader. It's our cause." The YPG is an offshoot of the Kurdistan Workers' Party (PKK), the Turkish-Kurdish guerrilla group designated as a terrorist organization by the US and EU because of its three-decade insurgency against Turkey, a NATO ally. Some say the YPG has been the most effective fighting force against Islamic militants to date despite its lack of international support because of its close association with the outlawed PKK. But the official spokesperson for the YPG, Redur Khalil, said he doesn't attribute its lack of support to the PKK. "We are ideologically close to the PKK but on an organizational level, we are completely independent," he said. "I think the lack of support is attributable to the political agenda of western countries who are not supportive of an autonomous region." 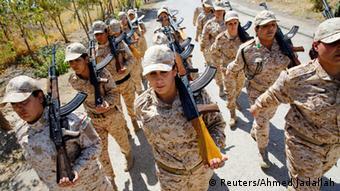 The YPJ make up 35 percent of the fighting force. They receive one month of military training including how to use heavy machine guns, rocket-propelled grenade launchers and AK-47s. Political training includes the history of the party, ideology and teachings about the people's connection to the land. Khalil said the majority of women are not married but there had been a few instances of mothers fighting on the frontline. "Much better than sitting around the house"
At a YPJ headquarters less than 1 kilometer from the fighting, a group of giggling girls sat around with state television blaring in the background proudly passing around a mobile phone displaying images of dead IS members. As one girl flicked through images of the dead, they all laughed. " Daesh [the Arabic name for IS] is our goal." When asked who the youngest girl was at the headquarters, Ghulan sitting on the floor with short wavy hair smoking a cigarette proudly lamented, "I am. I'm almost 18 and have been serving for nearly a year." With her hair in a slick back plait with bright hair clips and pimples scattered across her forehead, 21-year-old Gulbahar said it was the lack of opportunity for further study or employment that drew her to the frontlines. "We were working in and around the house. We worked until we got tired and went to sleep. 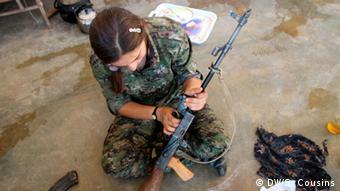 There was nothing to do so when the situation changed I joined the YPJ," she said. "Our life here is much better than sitting around in the house." Gulbahar said despite the limited military training and lack of body armor, she wasn't afraid of dying. "I have no moments of fear. Ever." "Of course the first time you go to the frontline and people shoot at you, you're scared but now I'm just used to it," she said adding that she had no idea what she would do if the war was over. "Actually I've never even thought about that. We'll talk about that when that happens. Maybe we'll become martyrs, we don't know." Another 21-year-old girl standing at the entrance to the room joined in the conversation. When asked how long she had been part of the YPJ, she replied: "Three years. It's my life. What's wrong with it?" Soon enough the girls were called to the frontline. "Now the fun begins," one said as the girls grabbed their guns and flung them over their shoulder and jumped in a 4WD. They waved as they drove off laughing.